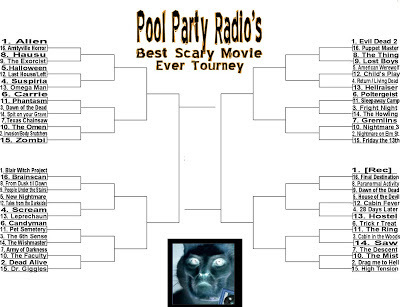 Pool Party Radio: Halloween Horror Movie Tournament Extravaganza! 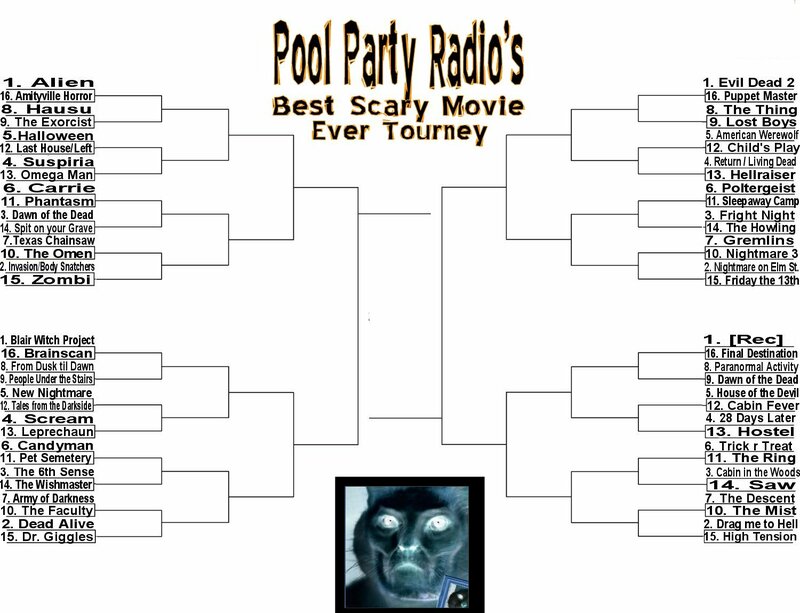 Halloween Horror Movie Tournament Extravaganza! On episode 82, we'll be joined by Mike from Kissing Contest to figure out what the best horror movie of all time* is! We're doing it NCAA-style and the films have been seeded according to their Rotten Tomatoes critics' ratings. Here's the brackets, if you feel like following along or filling your own out or anything. 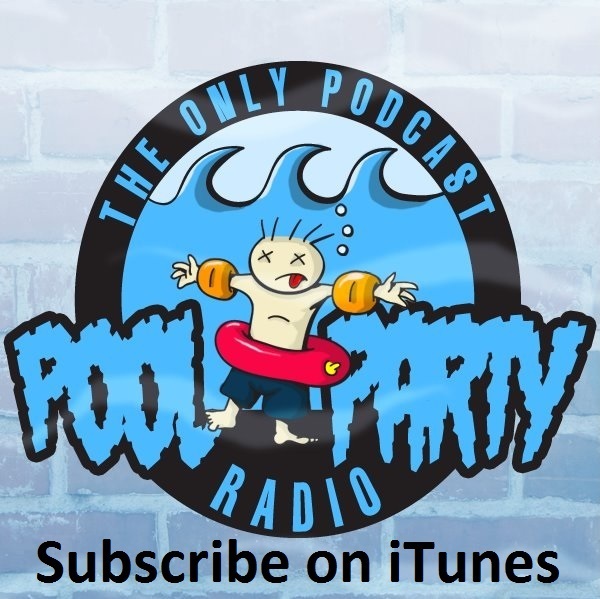 If you wanna fill one out and send it to us at poolpartyradio at gmail dot com, we'll send you a prize or read your winner on the show or something. But if not, that's cool, too. Also, if you wanna email us to complain that your favorite movie isn't represented or to complain that three Freddy movies made the cut, feel free to do that, too. There's probably a lot of stuff that should be in the mix, but I tried to pick movies that represent the decades they were released in and that all three of us had a good chance of seeing, as to avoid us recording and then going "No one here has seen 'Blood Lake?' Podcast RUINED!" Also, the movies start at 1970, because anything older than that would mean we'd have to dig through dust-covered chronicles in an ancient, gothic museum and ain't nobody got time for that. *Aside from "The Shining" cuz that's the greatest human art ever created, so it'd be kinda cheaty and anti-climactic to include it. Thit post isn't for a full episode. 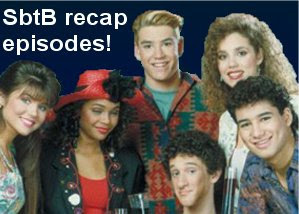 This Halloween episode will be up Friday. I just wanted to post these brackets we'll be talking about on the show ahead of time.